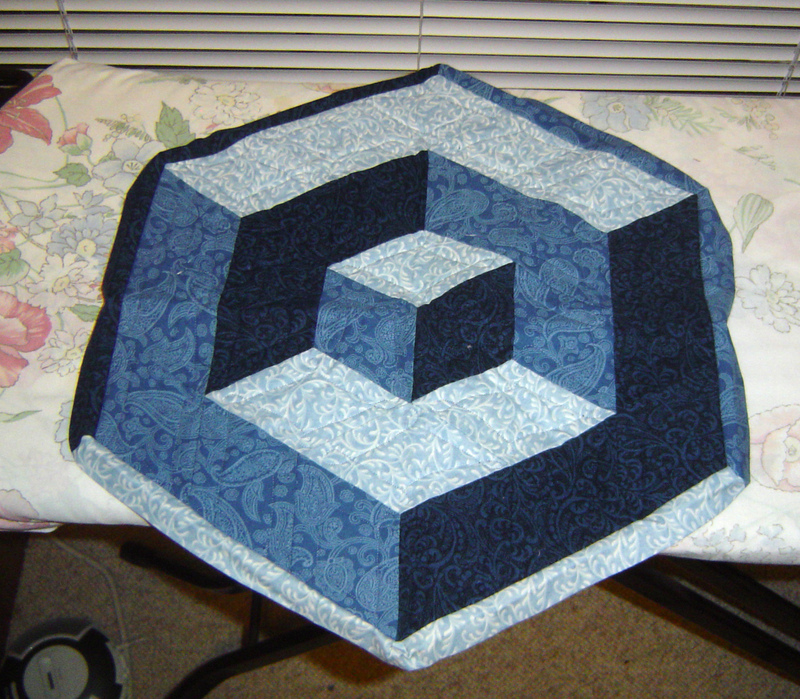 I have to have my quilts named by thursday of this week and I realized I can’t come up with a good name for this hexagon table runner. Funny story about this (you may have heard I don’t know or remember) is that the table that I made the table runner for is now gone. Also notable, the design I saw online I copied drew on graph paper from memory. I want to say something abut this being even or squared up, or lighted, or 3d, or maybe something about the lack of table for this table runner. Or the design coming from online? I get the “not Steve”. I guess we all read the same blogs, ha-ha. Anyway, my name choice….”Homeless”.